The International Society of Cosmetic Dermatology (ISCD) is a multidisciplinary non-profit association whose members are dermatologists, cosmetic biologists and chemists. 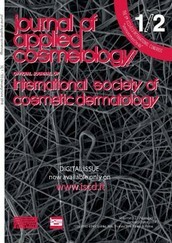 Founded in 1982 the goal of ISCD is to encourage a more continuous and stable exchange among the medical community, dermatologists, cosmetic chemists, pharmacologists, physiologists, toxicologists and experts of all other disciplines related to Cosmetic. Dermatology. It provides a forum for the exchange of ideas and methodologies pertinent to the related disciplines and Cosmetic Dermatology. ISCD has at its credit the organization of 5 international congresses, as well as the editing of two proceedings: the first volume in 1985 and the second one in 1987.